Pope Francis holds general public audience every Wednesday starting at 10:30 am. The meeting with the Pope lasts about two hours. 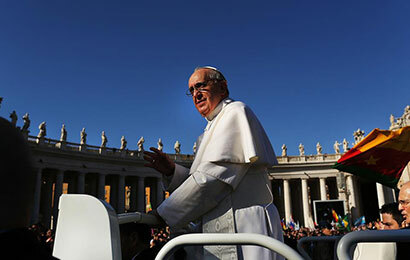 Holders of audience tickets have guaranteed sitting within the sectors at St Peters Square overlooking the papal altar. Seats are not numbered and get occupied on first come basis. There is usually a line to security check, so arrival at two hours prior to the event is advisable.